There are 33 Crafts web directory related resources in this category! The online homepage of Turnham Arts & Crafts, a UK's retailer of art supplies. They sell a wide range of foamboards. Worldwide shipping available. Specializes in Paasche airbrush supplies for craftsmen, artists and hobbyists. Browse through an extensive line of airbrushing products. Features sewing machines reviews, news, opinions and more. Offers a huge selection of ribbon types and sizes from chevron to grosgrain to offray ribbon. Provides original English and Scottish Arts and Crafts period furniture, lighting, prints and metalwork. Discount prices on art supplies and materials from Ken Bromley Art Supplies. Worldwide delivery on a range of products such as watercolour paint, easels, paper, and brushes. Offers antique and reproduction arts and crafts style furniture for various decoration purposes. An organization which focuses on model engineering, tool making and model creation. Lots of information and How To's, galleries and an activity log of the people involved. Offers architecture and interior design ideas and items inspired by the Arts and Crafts Movement. Online sellers of steam engine models, kits and boilers. A catalog presenting their products is available on the website and featured items are also displayed. Visitors can buy someone else's project or look for ideas for their own craft. This community platfmorm allows its users to share ideas, patterns and craft projects with others. Crafts for every skill level, from beginner to advanced. Provides a variety of projects for the crafts aficionado, from quilting, crochet, rug braiding, appliques and more. This website was designed for people who are unable to watch the popular crafting television shows on cable. It is jam packed with ideas and patterns for any type of craft. Tutorials are also available. Etsy is a new way for artists to sell their own work on the internet. It works better than Ebay for selling crafts. Because of the things that are sold on Etsy, many people are finding it a good market to buy and sell original crafts. A resource for metal casting enthusiasts. Tutorials on different kinds of metal casting with pictures and extensive explanations on the process. Traders of tools and models relevant for workshop activities. Among the purchasable items, there are those needed for independent clocks makers, jewelry makers and a whole array of tool making items for engineers. Invites users to join forums that provide ideas for craft projects, entertaining tips, photographs, and book reviews. Website dedicated to engine model enthusiasts. Free plans are provided, alongside pictures and detailed instructions for building the models. Jet engines and model boats are also included among the models. A free online magazine that comes out four times a year. There are many fashionable ideas that often turn into trends. Provides a range of knitting, sewing, crochet and embroidery patterns including information on the designers and books. Sellers of steel and non-ferrous metals for a vast range of uses. Engineering tools can also be bought by clients and they offer fabrication services as well. A free online magazine for engineers, craftsmen and tool makers. It features numerous articles on different materials, modeling options and diverse product reviews. UK-based manufacturer of different tools, machinery and specialized equipment. New products are added constantly and buyers have the option of examining extensive lists of merchandise. Suppliers of a wide array of engineering tools for modeling enthusiasts. With an emphasis on train models, they offer an extensive catalog of different products used in the modeling process. 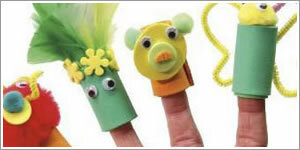 The website offers a variety of seasonal and holiday craft projects for individuals or classrooms. View how-to videos for some projects. Online community that offers arts and craft resources, including a marketplace, bookstore, forum and archives. Source for model engineers, accompanied by a blog. The website offers tutorials, tips and tricks and all sorts of relevant information for model engineers and enthusiasts. Crafts have always played a pivotal role in the history of art and design, from ancient times when crafts such as pottery and clothing were essential functions of daily life to the modern world where crafts have become object of luxury rather than necessity. There is a distinct difference between art and craft. Art doesn't necessarily have to fulfill a purpose; art can be beautiful and doesn't need a function. Craft on the other hand is tangible, physical, created with a purpose, from woven handbags to tradition woodworked furniture, crafts combine beauty with purpose. In ancient times the craftsman was one of the most respected and needed aspects of the community, having skills and knowledge to create "tools" that would allow people to work and live easier then without. After the industrial revolution, the perception of crafts changed. When objects and tools were no longer necessary to be made by hand, the role of the craftsmen became far more artistic. Although initially, crafts and craftsmen reffered strictly to items that were indispensable whether if we are talking about swords, armours or objects of pottery that were used as housewares, nowadays when we talk about crafts we reffer to objects that are used mostly in decorations, handmade articles that aim to boost the aesthetic look of your living room or give a bit of rural influence to your kitchen and do not have a particular usage. There are many sorts of crafts and there are people that make a living out of being craftsmen. On the other hand, everybody can do a craft, no matter if you are a child or an adult and you wish to relax. Dolls, arrases or simply handmade postards are crafts that brighten up anyone`s day and add a bit of colour in our lives. Handmade crafts are so wanted because when somebody manufactures them, they make them with all their heart, being something that they enjoy doing. Moreover, the custom of making crafts is often met in the rural zones, at the countries where both old people and children love to preserve traditions and so they transmit them from generation to generation, just like their parents and grandparents did. Some of the most known crafts made at the country side are wooden spoons manually carved or accessories such as bracelets, necklaces or flamboyant belts for the traditional costumes. Crafts began to focus on beauty and design, serving more as art then tool, though still as functional. This web directory contains helpful information in regards to the history of crafts, as well as resources and tools for those interested in crafts. Today, Craftsmen are highly skilled and sought after to produce unique one of a kind items. In today's modern world many people are beginning to prefer the more human side of crafts, choosing to buy and own handmade object in comparison to factory machined items. Because of this modern movement away from mass production crafts have become very popular once more, relying on the human factor in their creation. Crafts are produced from around the world and exported on an international market, helping to introduce people to cultures and art from around the globe. The art of crafts is wide ranging from furniture to jewelry, incorporating beauty with purpose crafts have been and always will be a vital part of the art world.